» Don’t be the Shark Bait.. 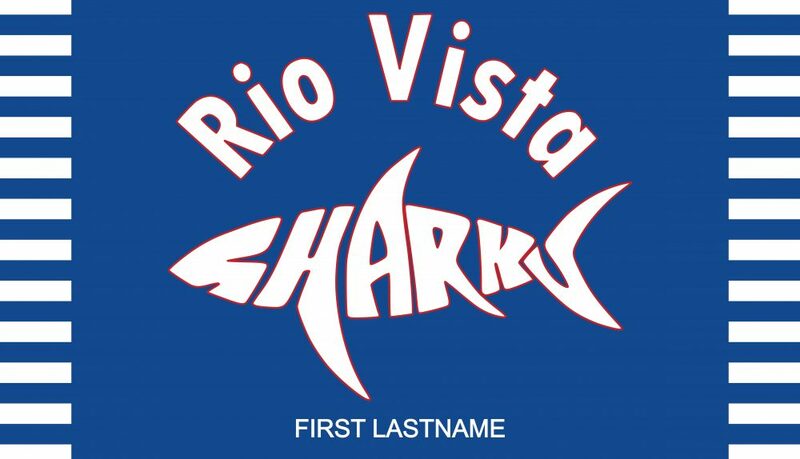 The Rio Vista Sharks’ custom swim team towel, boldly features their logo, accented with some fun lines on the width ends. This custom sports towel was created with three-color choices from our color palette. We offer a great logo towels for our clients that are sure to please and keep parents asking for more! Request a quote today!